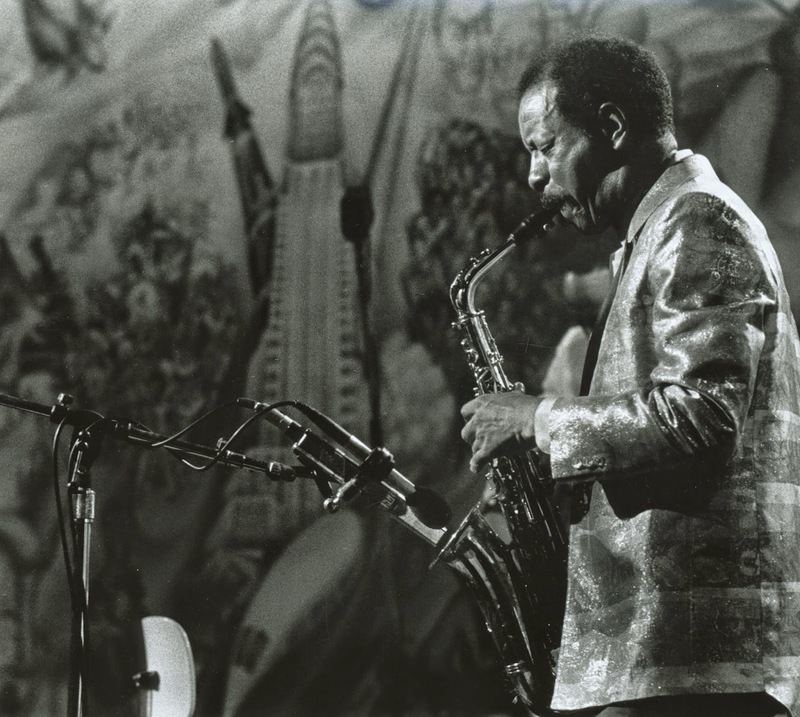 You probably don't expect a documentary about a jazz musician to begin with a re-enacted Western gunfight or to take a trip into space, but Ornette Coleman wasn't like most jazz musicians. For that matter, Shirley Clarke, director of “Ornette: Made in America” (1984), wasn't like many other filmmakers. Perhaps a director who blazed her own trail with landmark films such as “The Connection” (1962) and “Portrait of Jason” (1967) saw a kindred spirit in the free jazz pioneer whose style was so unique that existing terminology couldn't describe him. He didn't play harmony, he played harmolodics and he saw little difference between his idiosyncratic compositions and his idealistic philosophy/cosmology. For such a complex man it's appropriate that this film had a complex genesis. Producer Kathelin Hoffman Gray had contacted Coleman to open a new venue in Fort Worth, Texas, Coleman's home town (a 1983 ceremony honoring the artist is the occasion of the opening gun fight). Gray soon learned about footage that Shirley Clarke had shot in the '60s of Coleman and his young son Denardo, then an aspiring jazz drummer, and felt Clarke was the best person to complete the project two decades later. According to Gray, Clarke was interested in continuing her chronicle of an artist and his son (now an adult and an accomplished professional drummer) while Gray and Coleman saw the film as a contemplation of the creative process. Both perspectives play off each other productively in a film that combines documentary footage from multiple eras (present day being lensed by the great cinematographer and volcanic-non-eruption-survivor Ed Lachman) with dramatic recreations of Coleman's childhood in Ft. Worth, a hardscrabble experience for a young Ornette who could not have imagined he would one day be receiving the key to the city. Or maybe he could; he's got quite an imagination. The documentary utilizes multiple formats as well (8mm, 16mm, super 16, and video) while frequently overlapping concert performances from different decades. Shirley Clarke was a dancer before she turned to the cinema so it's not surprising that she would want her film to sway to the music. Several sequences are cut like experimental music videos, strobing and blurring along with the atonal songs. I'm not sure how successful Clarke is at finding a video analogue to Coleman's unique orchestration (her choices seem too redundantly literal at times) but the synesthetic attempt to answer the question “What does free jazz look like?” is occasionally quite intoxicating. Clark is too savvy to try to answer too many questions about the man at the center of the movie. She's more interested in listening to his soft, slightly lisping voice as he holds court on a variety of subjects, alternating between insightful and utterly impenetrable. 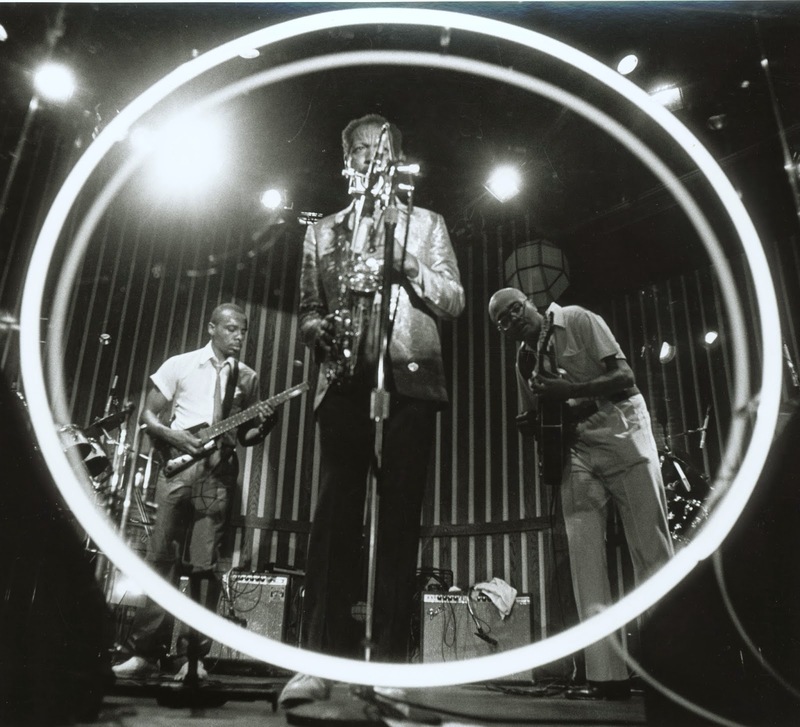 One of the great fascinations of Ornette Coleman is the impossibility of categorizing him. He is unique, a true American original and just one strange, brilliant dude. This one story he tells near the end... I just can't tell you about it. Any effort to stuff him or his work into a familiar box would have missed the point altogether. Instead, Clarke's cubistic decade-hopping approach leaves the impression that Coleman has always existed or perhaps that he exists simultaneously at all the points along his timeline, always in communication with all the Ornettes who have ever been or ever will be. The documentary also features appearances by some of the artists and thinkers who occasionally wandered into Coleman's eccentric orbit, including William S. Burroughs and Buckminster Fuller. The film is presented in its original 1.66:1 aspect ratio. The documentary combines footage from different decades and different formats (much in color, some in black-and-white) so the image quality obviously varies. From Milestone's press notes, “the film has been preserved from the original edited 35mm negative, which incorporates blow-ups form a variety of archival sources as well as Shirley Clarke's and Ed Lachman's Super-16mm original camera footage.” Obviously 8mm or 16mm footage will look grainier when blown-up but this high-def transfer from Milestone looks consistently sharp throughout with some of the concert footage almost startlingly crisp. The Mono audio mix was restored by John Polito of Audio Mechanics and sounds quite sharp and clean. I'm not enough of a musicologist or audiophile to tell you how true the sound is to Coleman's complex compositions and massive orchestras, but there were certainly no problems that I noticed. Optional SDH English subtitles have been provided. Nobody will ever accuse Milestone of going cheap on the extras. “Shirley Loves Felix” is a fun little featurette (5 min.). Shirley, displaying her excellent taste, was a big fan of Felix the Cat. This short spot cuts Clarke into a typically minimalist excerpt from the Felix cartoon “Out of Luck” then plays the short feature in its entirety (or at least whatever survives of it). “The Link Revisited” is a 32 minute interview with Denardo Coleman that revisits (surprise) one of the crucial scenes from the film. The disc also includes a lengthy (59 min.) interview with Shirley Clarke conducted by Joyce Wexler-Ballard in a studio at UCLA on May 24, 1982. Clarke meets the camera's gaze and speak very candidly open her life and career. For any fans of Clarke, this is a very revealing and moving must-see. The only minor complaint is that this hour-long interview is not broken up into chapters. We also get an audio interview with Clarke and Coleman that was originally recorded in 1986 for KPFK radio station in Los Angeles. It includes an introduction to the piece and runs 29 minutes. There are also two trailers, one running 1 min, 31 sec and the other at 37 sec. The Blu-ray also comes with a slim booklet featuring an essay by producer Kathelin Hoffman Gray. It might not be the ultimate trip, but it's still a real trip. 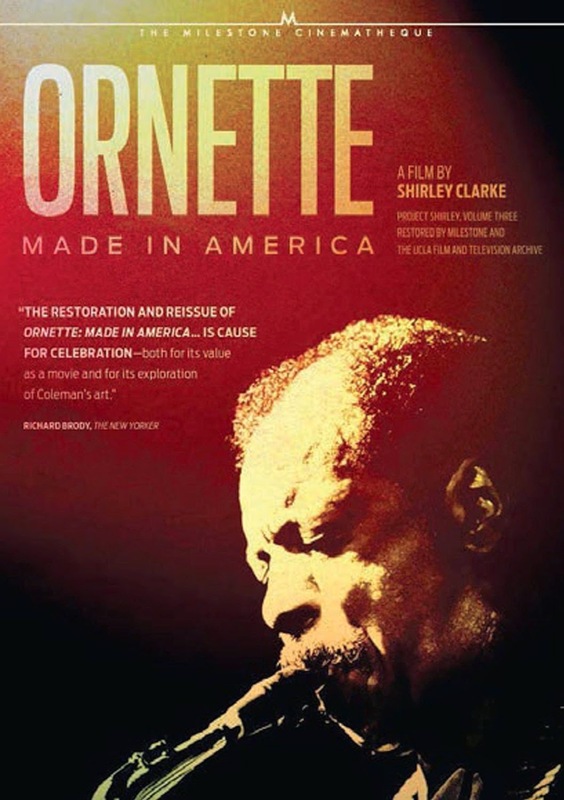 “Ornette: Made in America” was Shirley Clarke's final film, the capper to a career that has been much neglected but is now being revivified by the good folks at Milestone Film and Video. “Ornette” is Volume 3 in their ambitious Project Shirley. It is being released on Nov 11, 2014 along with Volume 2, “Portrait of Jason” (1967). Volume 1, “The Connection,” will follow in a few months.